From LAIKA, the animation studio behind the Oscar-nominated Kubo and the Two Strings, Coraline, and ParaNorman, comes Missing Link, a stunning, epic, raucous stop-motion comedy out in theaters April 12th. Insight Editions and LAIKA have collaborated for The Art of Missing Link, a must-have companion to the film featuring featuring concept art from the film’s creation—including sketches, storyboards, character designs, and much more. I’m torn. 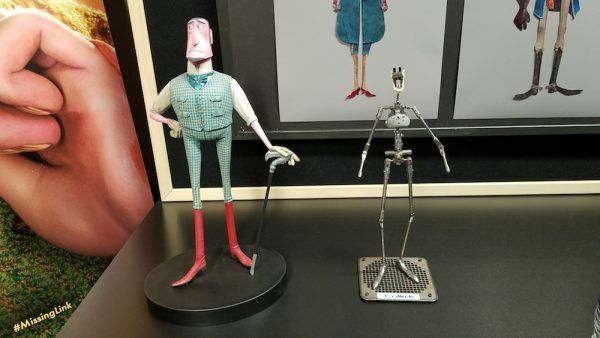 On one hand, I want you to run out and see LAIKA’s new stop-motion animated film Missing Link as soon as humanly possible. 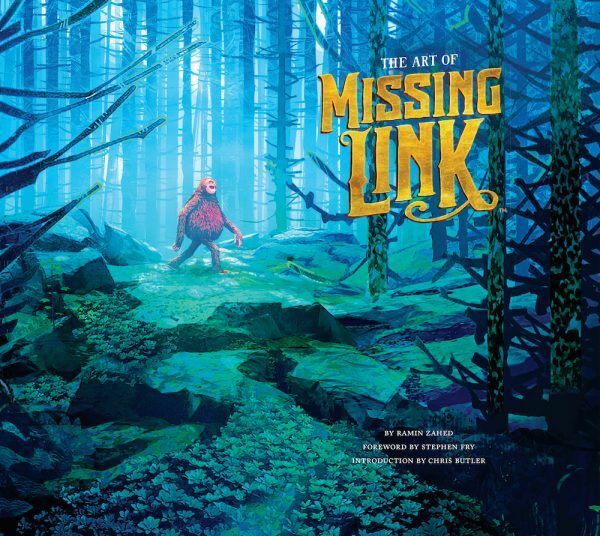 On the other hand, I want you to have Insight Edition’s new companion book “The Art of Missing Link” cracked open in front of you ahead of time so that you can better start to appreciate the Herculean amount of work, artistry, and talent that went into making this movie. The book is available today, so my advice would be to pre-order the book, then see the film in theaters opening day, then read the 176-page tome to take a deep dive into everything you missed in Missing Link before seeing the movie again ASAP. That’s the ideal way to embark on this particular adventure, in my humble opinion. But first! 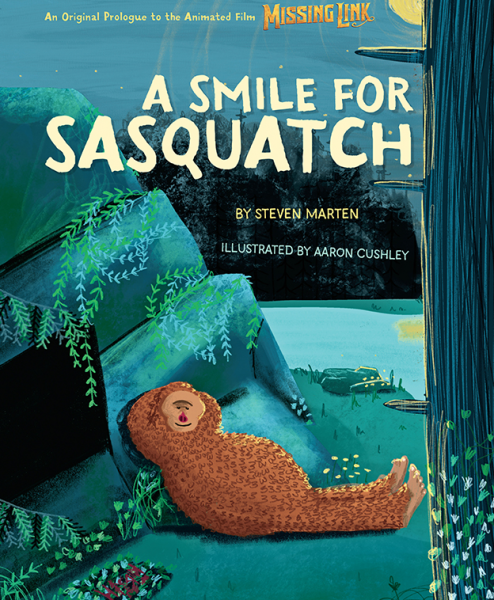 There’s another Missing Link tie-in book that you can pick up and read right now, a prequel story titled “A Smile for Sasquatch.” This short kids book, weighing in at only 32 pages, introduces the title character and his happy home. Wonderfully written by Steven Marten and beautifully illustrated by Aaron Cushley, this Insight Kids title is an original story that captures the heart and the visual appeal of Missing Link while also telling of the power of words, the joy of companionship, and the universal urge to find one’s place in the world among friends and family. It’s a delightful short story that will also fill in some background on Link’s own tale, knowledge which turns a somewhat silly moment in the feature film into an even more meaningful one. Check it out today before you see Missing Link this weekend. Lord Piggot-Dunceby has a similar body design to Lionel. “He’s like Lionel in twenty years’ time if he made a lot of bad decisions,” says Butler. 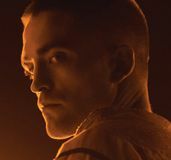 The character originally sported a full beard and eyepatch. Lionel’s houndstooth suit took 18 months of research to get the pattern size and colors right, while Link’s distorted frame called for warped fabric patterns that were created through computerized embroidery machines, freeing up the fabricators to craft other elements. Lord Piggot-Dunceby’s suit was screen-printed with a subtle wood grain to make it more expressive and mimic moiré silk. The two-foot tall Nessie model (with a very long neck) took sculptor Kent Melton more than a month to build; the practical model also had a CG double. While the facial animators used Hugh Jackman’s expressions as references for Lionel, for Link they used real apes, not Zach Galifianakis. McVitie’s Saloon was brought to life using early 1900s Pacific Northwest reference books, and composed of worn-down surfaces and five different wood grains embossed in green to make sure they “popped” under the set lighting. Pay attention to the vertical structures—bars, posts, beams, the birdcage—in Adelina’s Spanish Revival manor, which give the vast space a trapped, imprisoned, caged feel to it. For the jungle sequences, Lowry notes that they used wax-based, transparent materials to create lush jungle vegetation, allowing the light to filter in through the green canopy. The Jungle sequences also had a lot of layers to them; the animators had to shoot each sequence in stages since there was quite a bit of vegetation in the foreground as well as the background. Digital photography was essential to capturing the whole environment, stitched together around the animated action at its center. The movement of the three-foot tall elephant puppet, with unique “skin” that could stretch up to 30% in places and was minimally anchored to give it a realistic appearance, was originally modeled after real elephants, but its long legs required a more unique walking style. 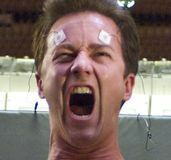 The finalized puppet took eight months, including R&D, to come together. 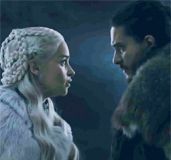 The Himalayan settings proved challenging because of the amount of white on-screen. This complicated consistency, since the ambient sunlight—set lighting reflected with white bounce boards to mimic snow’s own reflection of sunlight—had to be the same across multiple stages for multiple animators. 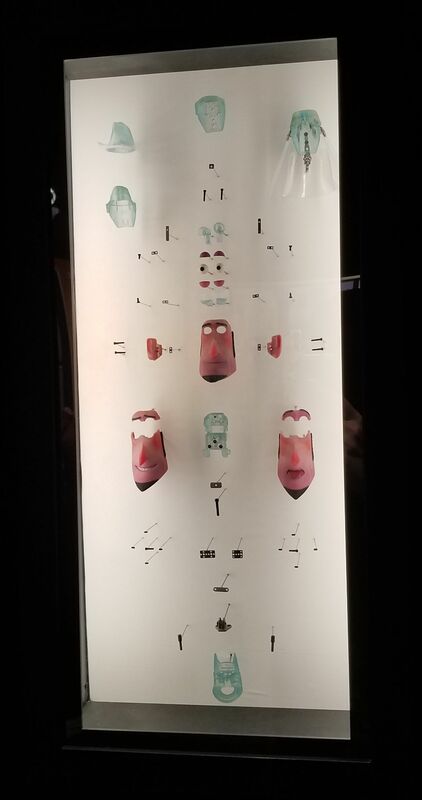 It also had a tendency to wash out and lose detail, while also complicating lighting and shadows. 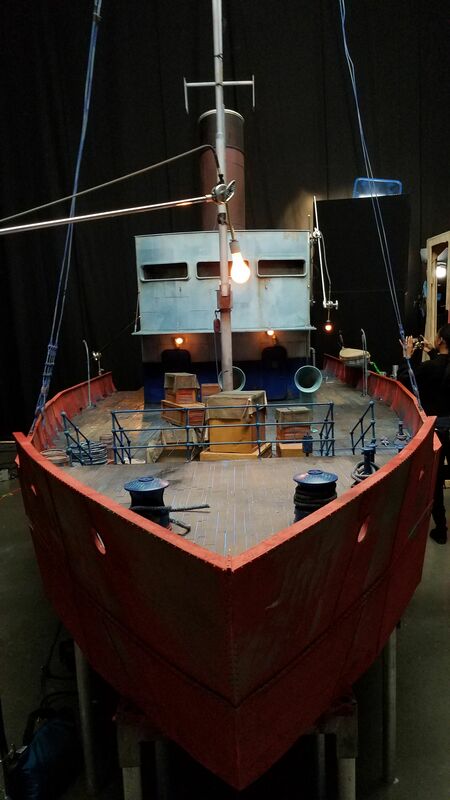 For the first time ever, LAIKA used three-inch tall exact replicas of their hero puppets for extreme wide shots and then composited the shots. 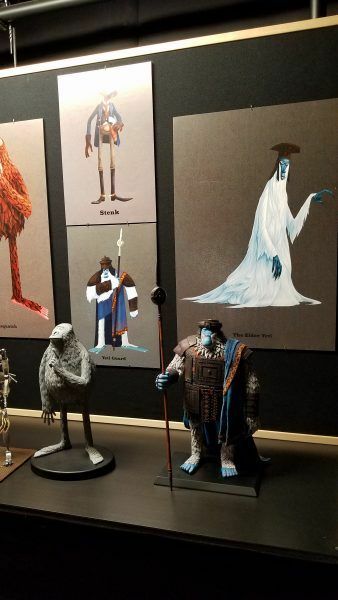 Only three Yeti guards were actually built as puppets: two were armored and one was “naked.” The rest were digitally created to fill in the full complement of guards. They were also slightly off-color from each other to make them distinct; one blue, one purple, and one greenish. The Optimates Club – black-and-white and ordered, stark contrast to Lionel’s office; and yes, Monkey’s head is indeed on the wall of trophies. The trophy heads themselves are textured with carefully trimmed and styled fur and faux fur, to finely cut paper for Monkey. They wanted to show cute animals on display to demonstrate the cruelty of the hunters. 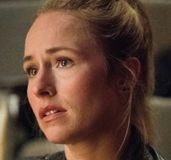 An earlier version of the script revealed that Lionel and his associates were hunting the chupacabra in the Mexican jungle, and Adelina was, too. Though they went on adventures together, she eventually married Aldous. Just like in live-action movie shoot-outs, the stop-motion animated sequence at the train station had to be mapped out, right down to the bullet holes and strikes on luggage, posts, and more. Gamu originally had a backstory that explained that it was her father who originally discovered the temple of the yetis; she watched him be taken away and he never returned. Missing Link arrives in theaters on April 12th; keep an eye out for my review this week. Insight Editions’ “The Art of Missing Link” and the prologue story “A Smile for Sasquatch” are available now.